Listowel Racecourse is in the town of Listowel, County Kerry, Ireland and stages both National Hunt and Flat racing. 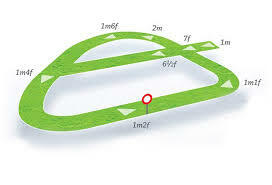 Listowel is a left-handed, sharp track of about one mile and a furlong in length, with a run-in of about two furlongs. It suits a speedy sort of horse. 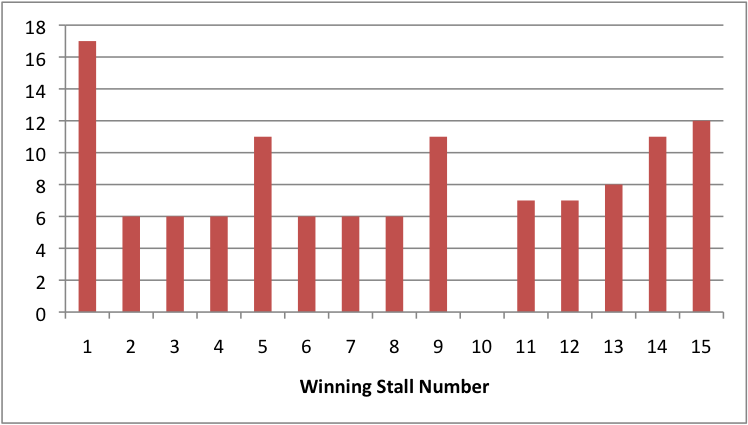 It is perceived to have a large bias favouring low drawn runners. However as can be seen on the right the stats just don't back this up. Their doesn't appear to any drawbias at Listowel over 6 furlongs. 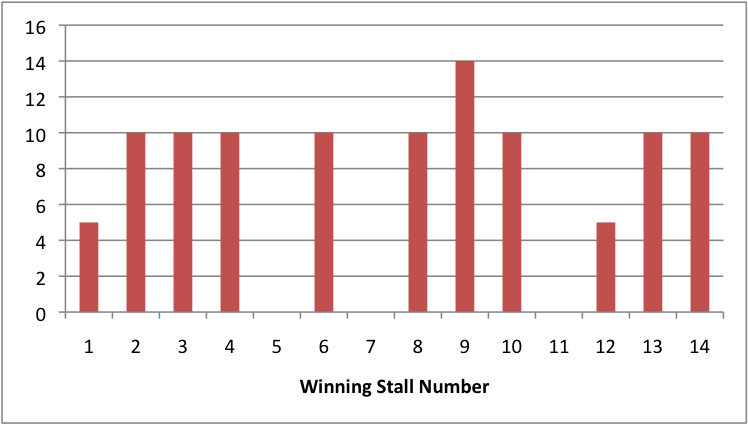 Surprisingly their is absolutely no drawbias at Listowel over 7 furlongs. Not much of a bias although low maybe slightly favoured. 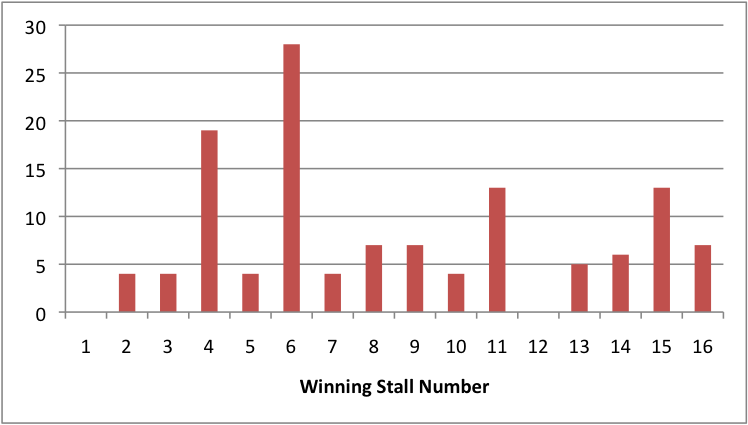 The charts above indicate the percentage of races which were won from each stall number in handicaps.